The father of Bristol Palin's baby boy says he's been treated like an outcast since the end of Gov. Sarah Palin's run for vice president. 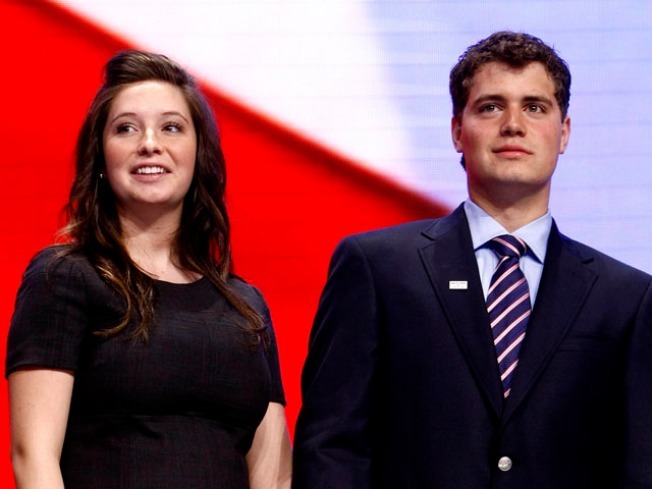 The cold war wall between Levi Johnston and Bristol Palin may be starting to melt, at least a little bit. According to Tank Jones, Johnston’s manager, the two have been spending more time together recently for the sake of their son, Tripp. But Jones commented that they’re no longer romantically involved nor do they plan to get back together. While her mother, former Alaska governor Sarah Palin, was running for vice-president in 2008, Bristol became the poster child for the issue of teen pregnancy. Johnston and Palin called it quits shortly after their son’s birth in December 2008 and eventually ended up fighting it out in court over child support payments. Jones says that after a communication freeze out between the two, they’ve started to become more cordial. An attorney for the Palin family, Thomas Van Flein, says that they both understand that they have a “joint interest” in creating a positive environment for their son to grow up in. In the meantime, both Johnston and Palin have been keeping busy. Johnston graced the pages of "Playgirl" in February and continues to shop a reality show about his home state. Bristol recently posed with Tripp for a Harper’s Bazaar photo spread. The setting? An upscale tea party, of course.